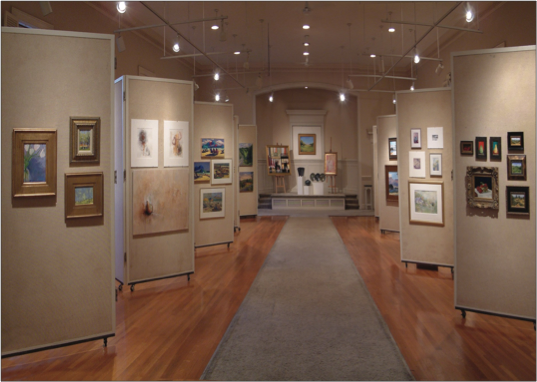 Rent Queen’s Gallery & Art Center | Corporate Events | Wedding Locations, Event Spaces and Party Venues. Established in 1978, The Queen’s Gallery & Art Center, inspired by the McGuffy School in Charlottesville Virginia, has been dedicated to the promotion of fine arts in Charlotte, North Carolina and vicinity. Established in 1978, The Queen’s Gallery & Art Center, inspired by the McGuffy School in Charlottesville Virginia, has been dedicated to the promotion of fine arts in Charlotte, North Carolina and vicinity. The original concept was to provide aspiring artists a place to create as well as display their work. Over the years, the format has evolved to include custom picture framing and an art materials store. The gallery, a 2,000 square foot exhibition space, is located in the sanctuary of a renovated church built in the 1930’s. The 18 foot ceiling and natural light provide an ideal atmosphere for exhibitions and events including live music, poetry readings fund raising and performance art.